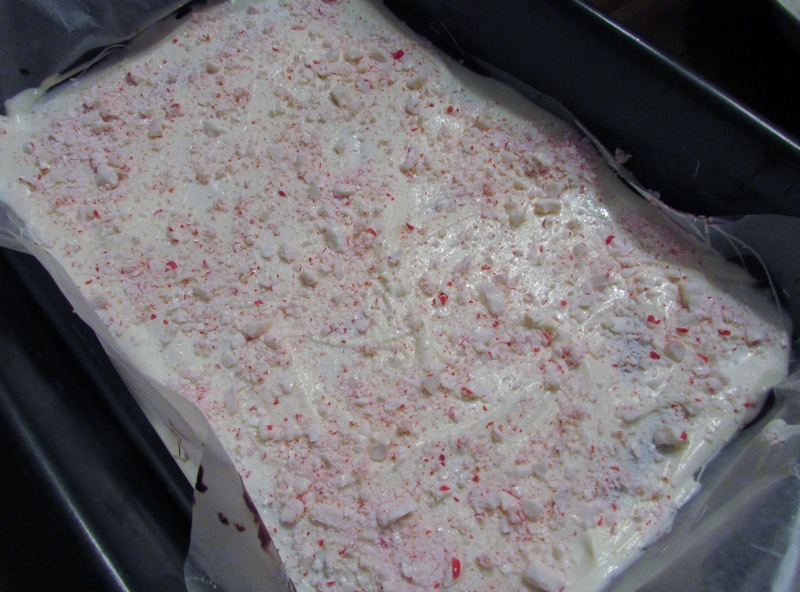 One of my absolute favorite treats for Christmas time has to be peppermint bark. Well peppermint anything. Just the smell of peppermint reminds me of Christmas. 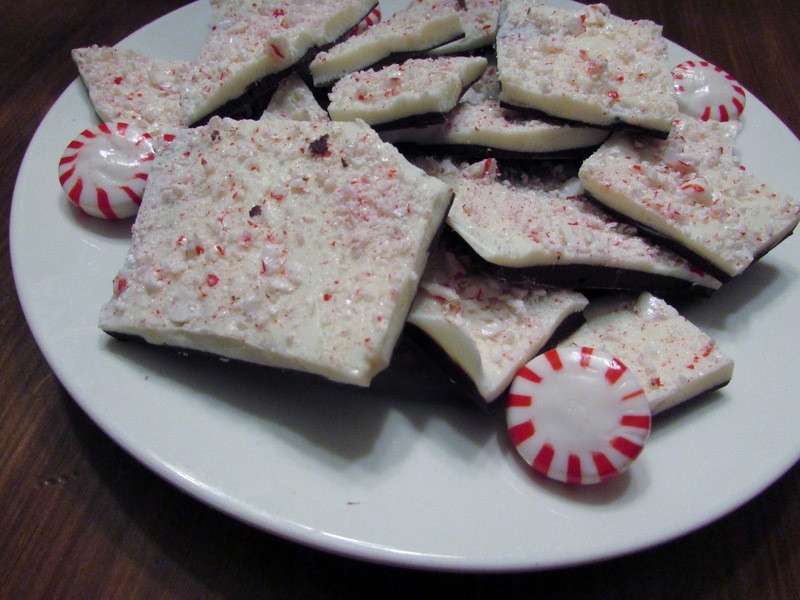 So this year I decided to make my own peppermint chocolatey treat. I must say, it turned out better than I had anticipated. In other words it was blog worthy. 🙂 So here is my recipe for delicious peppermint bark below. Line a 9×13 inch pan with waxed paper. Place the semi-sweet chocolate and 1 teaspoon of the oil in a medium glass bowl. Melt chocolate in glass bowl over hot water on the stove. Once the chocolate is melted, stir in 1/4 teaspoon of the peppermint extract. Pour the melted chocolate on the prepared pan. Spread evenly over the bottom of the pan. Refrigerate until completely hardened. Place the vanilla Candiquik in the microwave for 1 minute or a little longer until it is completely melted. Stir thoroughly and add in 1/4 tsp peppermint extract.Then pour the vanilla Candiquick directly over the semisweet chocolate layer. Sprinkle the crushed candy over the top. Hope everyone is a having stress-less shopping experience. This is the time when it officially gets crazy. Stay safe out there and Happy Holidays! !